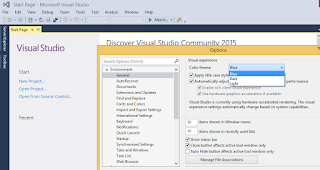 Writing this blog for those you have not know about theme selection by our self for Visual Studio IDE. 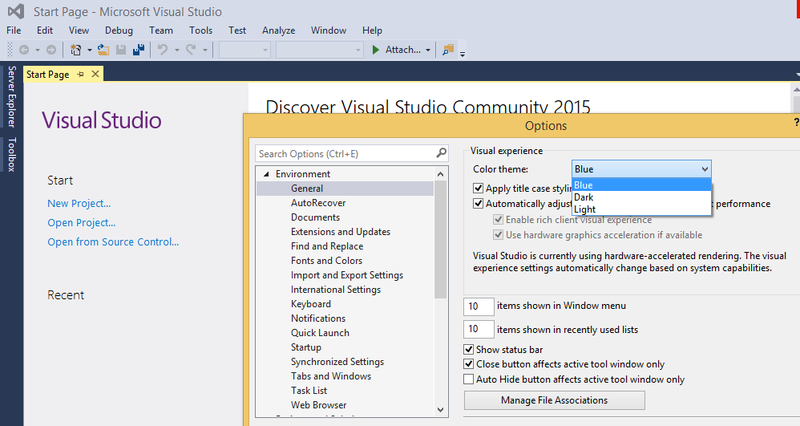 Recently I have observe that still few people have not much aware of theme options provided by Visual Studio. Here going to show you. Follow the steps for change the theme. Go to menu Tools --> Options and select the theme from dropdown. Hope that help to you!! Sometime we would like to access Internal Class or Member on Unit Test case Assembly. I just happen same situation in my one of the project. So I have googling and spend some time on it and finding solution. Writing this blog for them who having facing same situation. so that would be help for them. C# having call Internal Assembly like in Visual Basic(VB) having call Friend Assembly. If would like to access InternalClass on another assemblies then need to define each assemblies name on AssemblyInfo.cs with following line. i.e. If you want access InternalClass on assembly ABC then you will need to mention on AssemblyInfo.cs file for same. Hope that is help to you!! Recently I just facing Sql Server issue. Which is Sql Server Management Studio not connect with Sql Server. So based on issue I had google it and find a solution. Which is about Sql Server Services. So I need to start Sql Server Services manually after updating Windows 10. Following are step to start Sql Server Services. 1. Press Window + R key so it will open Run window. 2. Now type "services.msc" and hit enter so it will open Service dialogue. 3. Now find sql server service from the Service list. 4. Once find it, just need to click on left panel of Start link. 5. Wait for few second and it will start it. 6. Now you can try to connect Sql Server Management studio to Sql Server. Hope you got your solution. Sometime developer required convert List to comma separated string. So here we just quick look of string.Join code magic and get our expected result. Last night I was getting notification from Microsoft that was Window 10 is ready for upgrade. 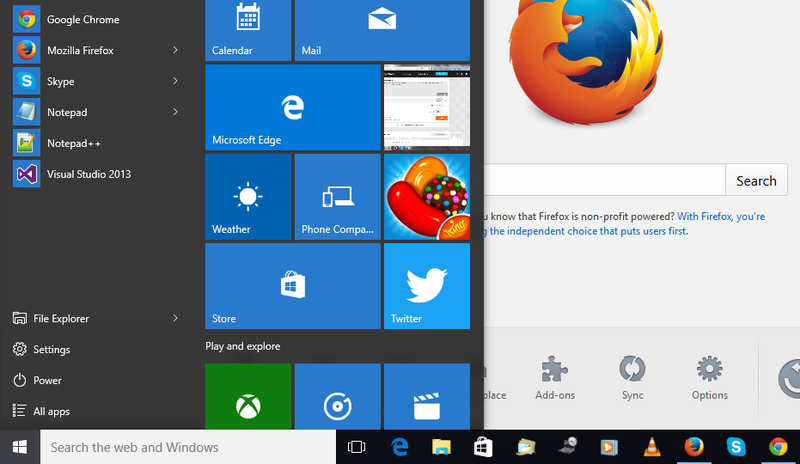 So I was excited to upgrade because last 1-2 month we are waiting for Window 10 release and finally that dream come true. Once I have clicked on OK button so that was started to upgrade and it was just taken few hours to upgraded. First screen look after the Window 10 installation. I am looking to more explore of Window 10 features.